My only visit to Mount Etna a decade ago was not pleasant. Although it was sunny and spring-like in Syracuse, by the time our bus reached the mountain, the weather was bitterly cold and the sky very grey. The mountain was a black and brooding presence in the background, with patches of white snow here and there. We huddled around the fire in the tasting room, longing for the warmth of our bus. The wines, however, were extraordinary, completely different to anything else we tasted on the visit. Etna has been the darling of the wine business in recent years; it offers everything the wine geek seeks: steep, dark, rocky volcanic slopes (although the soil is actually very diverse); a unique climate; indigenous grape varieties; and an ancient tradition of viticulture. The climate and soil are the first pieces in the puzzle. The combination of high altitude and volcanic soils produces wines that are ripe but at the same time very elegant, with a characteristic mineral element (a term that suggests a stony, flinty acidity). Etna wines, red and white, tend to be light and fruity, the reds often having a very seductive earthy warmth. The primary red grape is Nerello Mascalese, which must make up 80 per cent of an Etna Rosso blend. It is responsible for those wonderful, perfumed, taut, refined dark fruits. Nerello Cappuccio is seen as inferior to Mascalese. The wines are broader and softer, and are often used to flesh out the more austere partner. 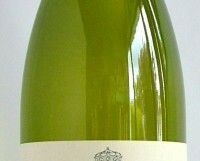 The white wines tend to be low in alcohol with good refreshing acidity. The most respected grape is Carricante, again an ancient local variety, which is often blended with Catarratto (another more common Sicilian variety) and others. The vineyard area has expanded in recent years, with many outsiders joining the local producers, but volumes are still small and the wines are in demand. Production costs are high, and so, sadly, prices tend to be high. You can expect to pay €20 or more for a bottle. I do think most of the wines are worth it though. Marks & Spencer have an attractive fruit-filled Etna Rosso at a very reasonable €15.50 – had it been 50 cents cheaper, it would have been my bargain wine – as well as a good Etna Bianco for €16.50. Sicily is one of the largest wine producing regions of Italy, and has upped its game in recent years. As well as the mass of decent inexpensive red and white wines you can find in your supermarket, grapes such as Nero d’Avola and Frappato (for red wines), and Inzolia for whites, are responsible for some excellent wines at very keen prices. Wonderful complex wine with soft ripe pears, grilled nuts, and a clean mineral backbone. Delicious. Stockists: Baggot Street Wines, Green Man Wines, Blackrock Cellar, On the Grapevine. Beautiful characterful wine with herby aromas, elegant dark fruits and a seductive warm earthiness. Stockists: Sheridans Cheesemongers; Mitchell & Son. Attractive elegant savoury dark cherry fruits with some black coffee; precise with a nice freshness. Stockists: 64 Wine; Baggot St Wines; Clontarf Wines; The Corkscrew. Warm rounded ripe dark fruits with a sprinkle of spice. Great value. Stockists: Mitchell & Son, chq, Sandycove & Avoca, Kilmacanoge; Rua Deli; Wilde & Green.